Jumeirah Beach Resort - Dubai (UAE) | TROX USA Inc. The extravagant architecture of the 5-star Jumeirah Beach Resort opened in 1999 creates an impression at first sight. Modelled on a surging billow, this first-class hotel is captivating with its lively and luxurious charm. Located directly on the breathtaking Jumeirah Beach, the sister hotel to “Burj al Arab” has over 600 rooms on 26 floors. The large numbers of visitors to the resort poses a great challenge in terms of providing optimal air ventilation and appropriate fire protection. The Jumeirah Beach Resort redefines the hotel experience: it offers a new lifestyle that meets the highest demands when it comes to the wellbeing of guests. With 600 rooms, the Jumeirah Beach Resort is a very large building complex. This places extremely high demands on suitable fire protection. TROX provides the necessary safety measures through high-quality fire protection and smoke detectors. At the same time, guests need to feel at home in this 5-star luxury hotel. This feeling of wellbeing is ensured by TROX air diffusers in the Jumeirah Beach Resort. Effective air ventilation is provided by means of vents. In addition, a quiet mixing air flow is comfortably generated by means of ceiling diffusers. Along with standard solutions, TROX also manufactures air diffusers according to individual designs. 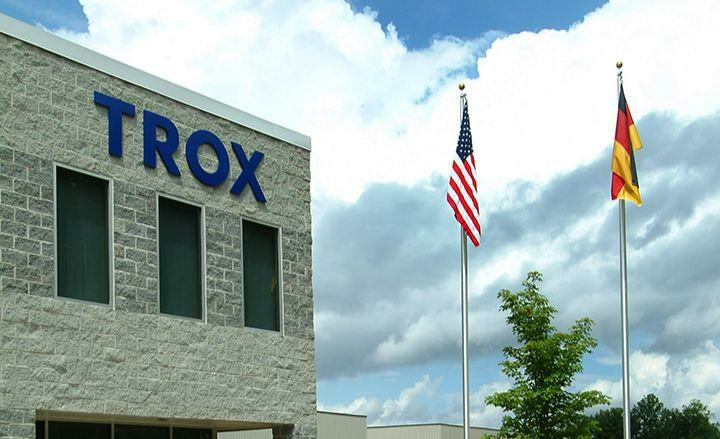 The safety and wellbeing of customers are ensured by TROX components. The state-of-the-art design of the air diffusers also enhances the “flawless” impact the Jumeirah Beach Resort luxury hotel has on its guests.